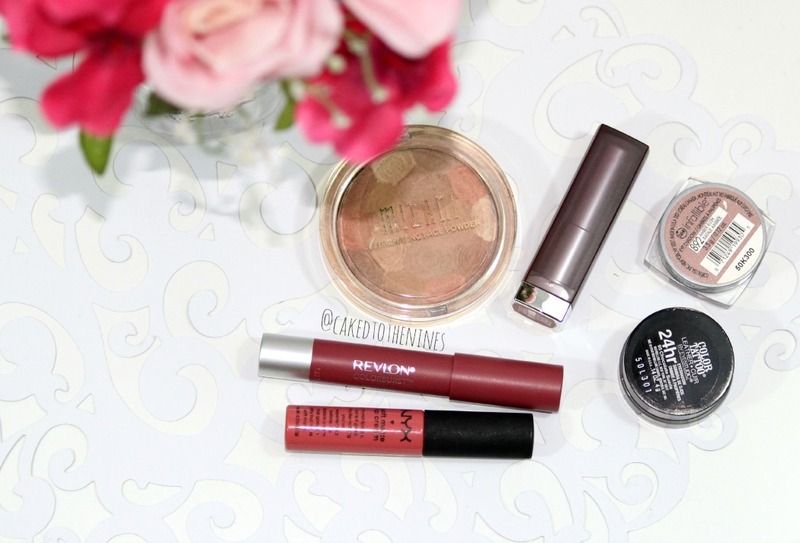 Beauty Chat | Favorite Drugstore Makeup Products? Although I spend a lot of money on higher end makeup, there’s nothing like going to the drugstore and picking up some drugstore goodies. So, for today’s beauty chat, I want to know what are your favorite drugstore makeup products? My favorite powder eyeshadow is the L’oreal Infallible eyeshadow in Amber Rush, which is a GORGEOUS rose gold eyeshadow. This is so pigmented and smooth. It’s one of my favorite powder eye shadows ever because it’s such great quality. I love applying this all over the lids for an easy daytime look, and it even looks really pretty on the inner corner of the eyes as a highlight. I love a good cream eyeshadow, and the Maybelline Color Tattoo in Chocolate Suede is a beautiful dark brown shade that has a golden sheen to it. I’ve done a review comparing these color tattoo eye shadows to the MAC Paint Pots (minus Chocolate Suede because I didn’t have it at that time). 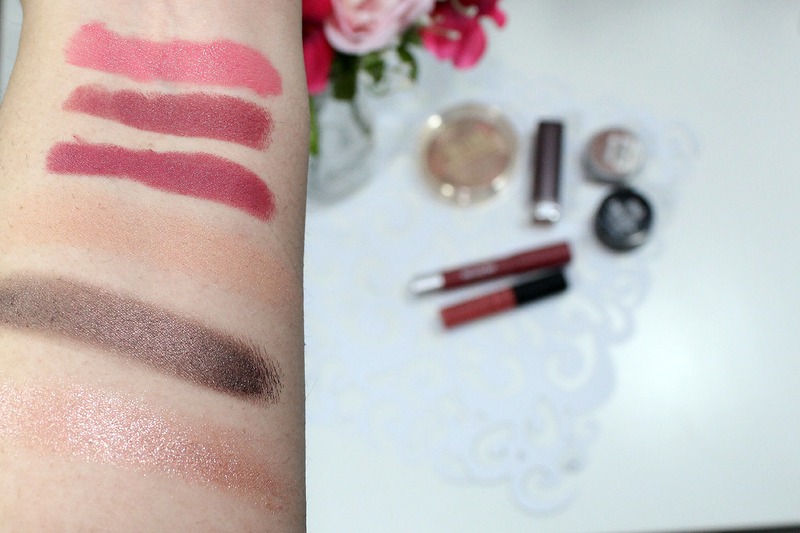 Although the MAC one’s are better quality, the Maybelline Color Tattoos aren’t as expensive and still great eye shadows whether you wear them on their own or as a base. I don’t own many Milani products, but their illuminating face powder in Amber Nectar is a subtle, yet beautiful peach nectar highlighting shade. I like to build this up as a highlighter on the tops of the cheek bones or on top of matte blushes to add a slight sheen. These aren’t super pigmented or shimmery so if you’re into more subtle, natural makeup, this is a good option. My most purchased drugstore item would have to be lipsticks, so it’s no surprise that I have the most favorites in this category. I love a good matte lipstick, which is why I love the Revlon Matte Lip Balm in Sultry, which is a plum toned dusty pink shade. This is a great everyday color that looks very beautiful on medium-deep skin tones. Maybelline Touch of Spice is a gorgeous mauve shade that’s similar to Sultry, but it’s more brown toned. I’m not usually a fan of Maybelline lipsticks, but this is a gorgeous everyday color that lives in my purse because it’s so easy to swipe on and goes with every kind of makeup look. NYX Matte Lip Cream in Antwerp is a gorgeous coral-pink shade that is generally not something I enjoy, but this color is very subtle on my lips and just adds some freshness, especially on the days where you just need a little bit of color to your look. This shade is perfect for the spring and summer months when you want something a bit more vibrant and fresh, yet not so intense that you couldn’t wear it to work. So, what are your favorite drugstore makeup products? 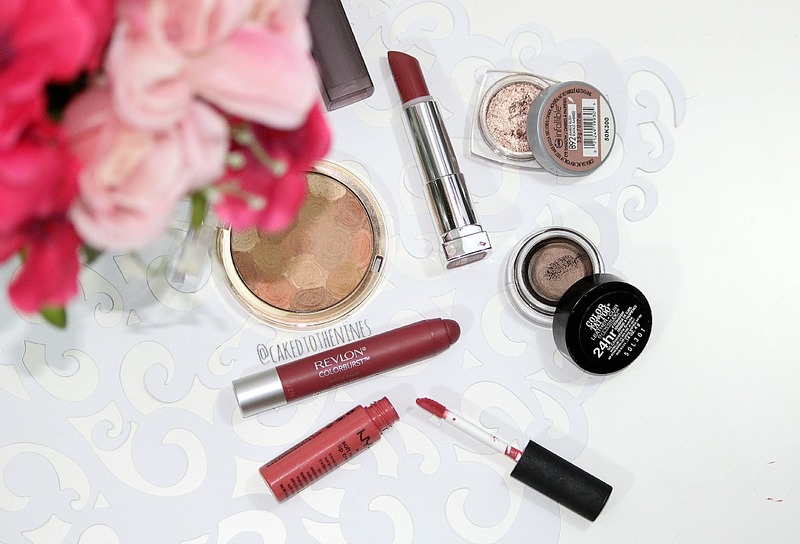 Don’t forget to check out my previous beauty chat: What’s your favorite high end makeup brand?